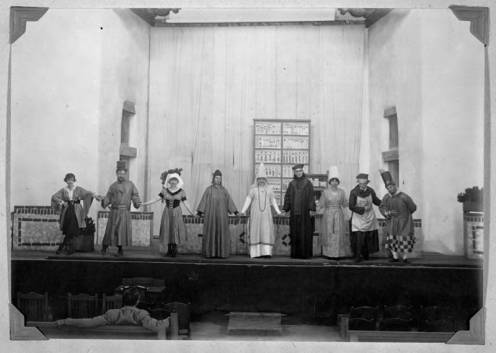 In 1919, at the St. Francis Auditorium of the Museum of New Mexico, Mary Hunter Austin—a writer and activist drawn here by this new state’s growing reputation as an epicenter for artists— hosted and staged a production of three plays. Her vision would ultimately become, in 1922, the foundation for the forming of The Santa Fe Playhouse. The Santa Fe Playhouse is now the oldest continuously operating theater west of the Mississippi. In honor of Mary Hunter Austin’s unique vision, playwright Mark Dunn has drafted a script that re-creates this event and takes us back to the beginning. Actress Michael Learned, known for her role as Olivia Walton in the long-running CBS drama series The Waltons, will be playing Mary Hunter Austin.